Waterbuck are large antelope that are regularly seen in the Addo region. Bulls can have a shoulder height of up to 1.4m (4 ft) and can weigh in at 260kgs (570lbs). Their most defining characteristic is the white ring marking on their rump. Despite their name waterbuck do not spend a lot of time in the water. They do like to be near water so they can drink daily. The water also provides a hiding place from predators. 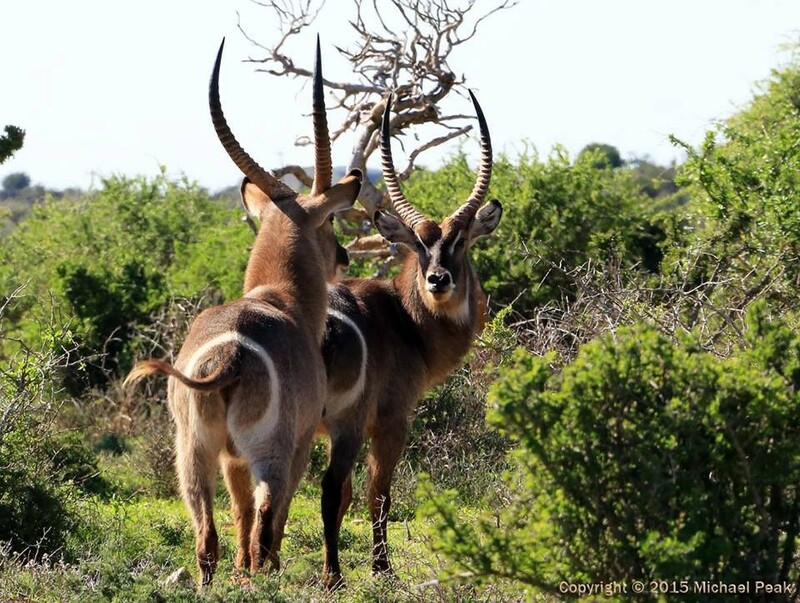 Have you enjoyed seeing waterbuck in the Addo region? Please share your images and experiences with us on our Facebook page and Twitter feed. We'd love to hear from you. Thanks to Koffylaagte Game Lodge for the lovely image.